There are many knitting machines on the market. Choosing the best one for your needs and skills will help ensure an enjoyable knitting experience. 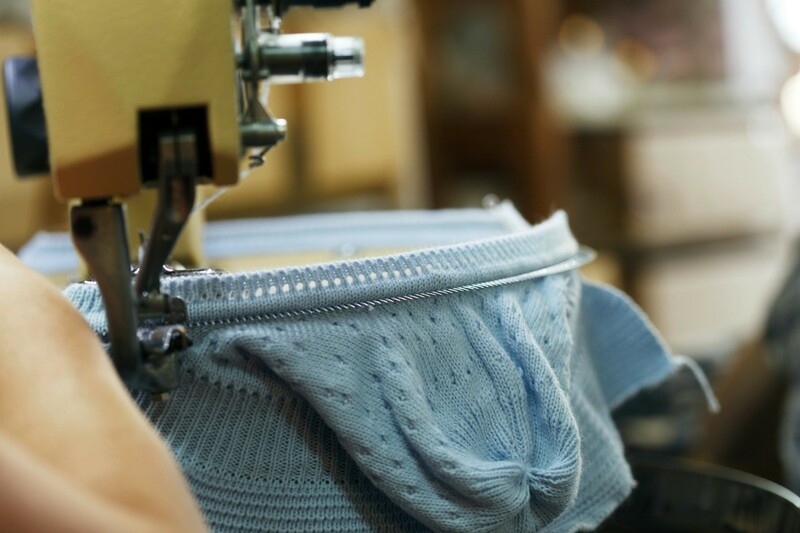 This is a guide about buying and using a knitting machine. Sometime back people inquired if there was a manual for #601 knitting machine. I found mine and would like to share. It is in Japanese, but has easy pictures and list of parts. Brother sewing company made it and the machine plus instructions have been stored away till recently. I have been looking at this knitting machine since I started working at Jo Ann's. I would really like to try it out, but I don't know if I want to spend that much money on something I'm not sure I would like. Does anyone out there have one of these and if so, how do you like it? 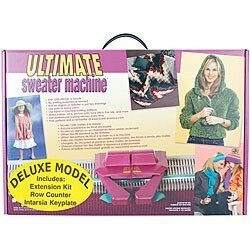 Do you have the deluxe model that includes the extension and the row counter? Are these items really important or can you do without them and still have a decent end result? Any feed back would be greatly appreciated! Thanks. Watch the videos on You Tube. If I were you I wouldn't waste my money. If you know how to knit, it is cheaper to buy knitting needles then to invest in a piece of junk. MCW is right I have one and it will knit, but when you take the knitting off it will roll up into a tube. You have to sew the ends to another piece to make it lay flat. if one of the needles bend it will start to miss stitches. I found a brand new one at Salvation Army for $7.00 but haven't gotten up the nerve to try it yet. You also could try Craigslist. Thanks to all that have replied to my post, moonlady , you are so lucky! I have been checking mine quite often, we have a Sherriff's youth mart and a Salvation Army thrift shop where I live, I check it often and usually end up finding something useful there even if it isn't the knitting machine! leekelly or MCW, if you still have your machine and don't want them, would one of you be willing to part with yours? I still want to try it out, I've talked to several that just love the machine and still want one. So if you want to get rid of it, here I am, please let me know! Thanks again for your feedback! In case you didn't know, machine knitting will roll up because of the nature of the knit. I know nothing about the Bond machine, but I have several low end flat bed metal knitting machines and just love them. I do mostly flat work, afghans, scarves, etc. They must be steamed flat as do all garments that come from the machines. Go on ebay and find a real cheap one and try it out. Make some yarn strips and count the rows. Keep making them till they are wide enough to sew together for an afghan. Then go on ebay and try to find a metal one. It will cost more, but really worth the money. I now have a used Brother, bulky machine with a computer memory for a few hundred patterns. I also have a standard machine. It uses fine cone yarn. I love the machines. I have made over 55 afghan in the past few years. I just got a Mattel knitting machine at an estate sale. I want to find cool patterns for making things with the tubes or circles that it makes. I have the general instructions, but want to know how to turn the pieces into afghans, scarves, and sweaters. Also can you make socks with it? I already tried Google and Ask but came up empty handed. Anything you have done that would help. Thanks! Merry Christmas and I hope this helps! My mother made a beautiful afghan out of the Matell Knitting machine circles. Unfortunately I don't have it anymore as after she died in 2004, I gave it to her namesake grand daughter. Best I remember, she just sewed the circles together. My mother was very good about experimenting with her own designs and doubt that she had any instructions. Thanks! I appreciate the info you have both provided. Have a blessed Christmas and New Year! "mattel knitting machine" and I am still going through the google list finding new sites. Here are just some that I have found on google. All the best to you too, Pghgirl40 from Pittsburgh! Thank you and Happy New Year! I have a friend who is 7ft tall and wears a size 18 men's shoe. A friend has just bought a knitting machine and is happy to make some socks if I can get a pattern. Please help! Thanks. Here is a machine knit sock pattern where you input your foot measurements. And there is a lot of yahoo groups for machine knitting. I have a Brother sweater knitting machine. Where do you buy number strips for this machine? I had one years ago, and I got mine from the same store I bought the machine at. Have you tried there? There are some on ebay and amazon. Does anyone own one of these? Does it produce a quality, hand made product? I've been debating about getting one of these for years and I can't decide. I have one and I love it. You should have some experience in regular knitting though. It goes real fast and I haven't completed any sweaters yet, just scarves and test pieces. The How-To video that comes with it is very helpful. It shows you everything and you can replay it as many times as you want, which I have done. Question: Where Can I Buy a Reasonably Priced Knitting Machine? I like to knit winter hats; I'm looking for a good not too expensive knitting machine. I've seen some plastic ones that break down after the first use. I'd like to get one without having to get a loan on my house to buy one. Can you help? Also I've only got the good use of one hand. I have seen some very reasonably priced ones on boo koo yard sale sites. I have purchased from boo koo yard sales in the past and some people are willing to ship things. Visit www.bookoo.com and you can search whatever state you'd like. There might be one near enough so you don't have to have it shipped to you. I hope this helps. How do you use a knitting machine? Where can I purchase one? You can find them new or used. There are websites with lots of info on the web; just google. Some sell machines, some just blog. I'd check out yahoo.com for machine knitting. You may find one or be able to ask a lot of questions. Check their groups, visit and find one to join.